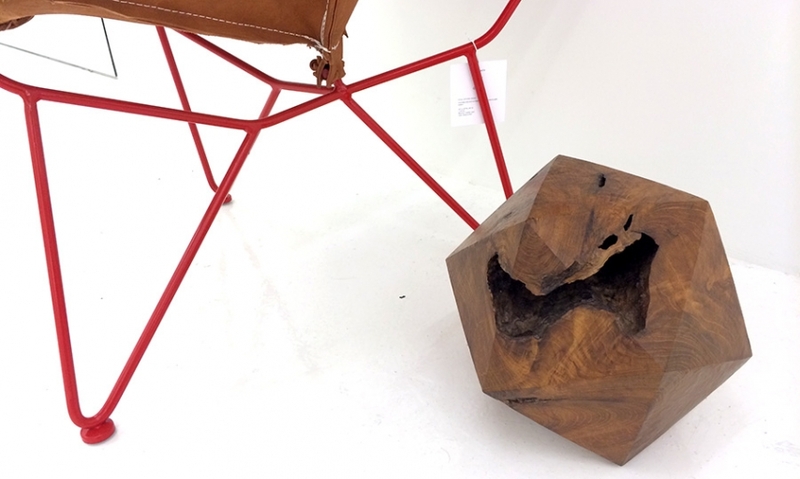 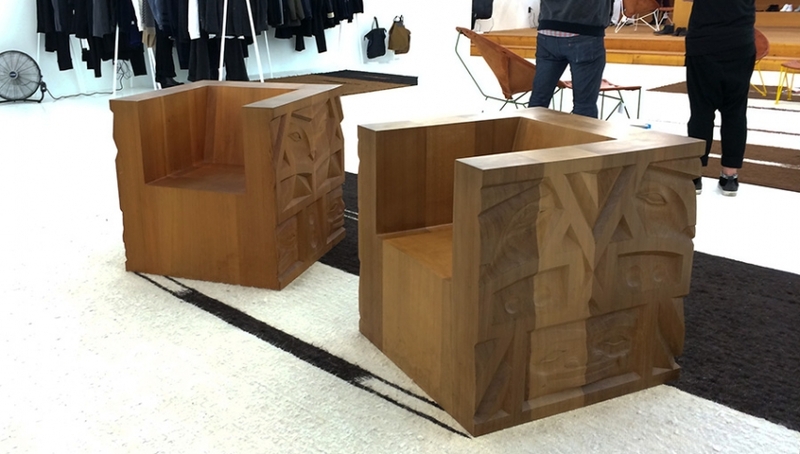 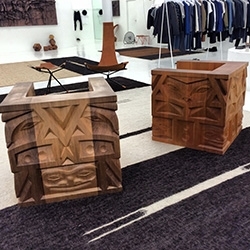 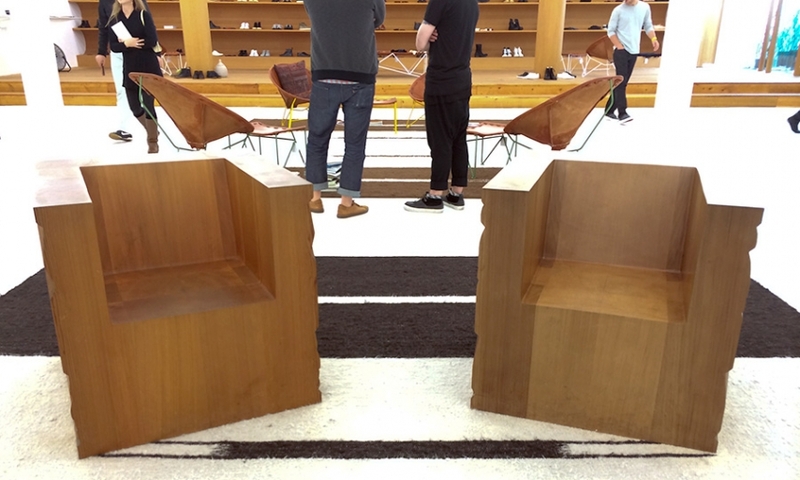 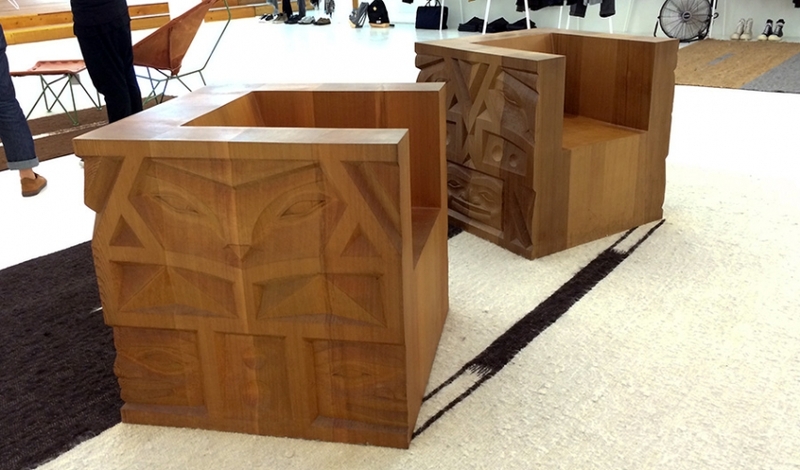 Stunning solid carved wooden chairs and geometric solids by Aleph Geddis found at Totokaelo in Seattle, WA. 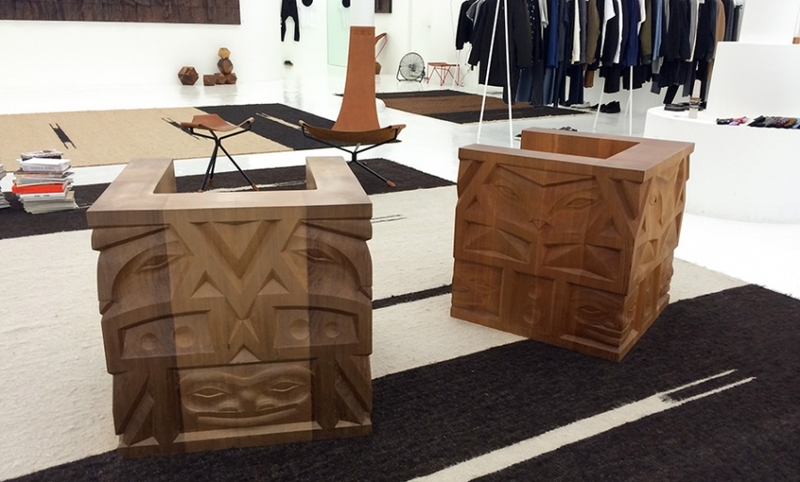 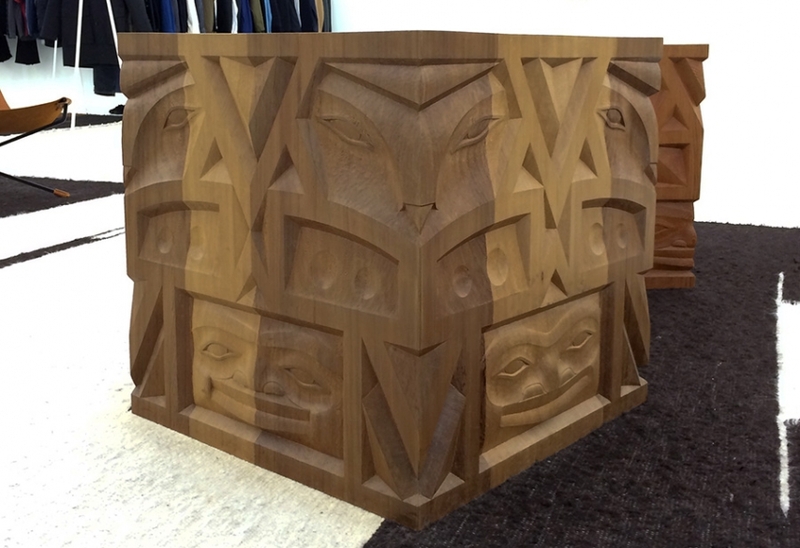 Walking in to the Men's store of Totokaelo, we were absolutely smitten by the stunning carvings of these chairs! 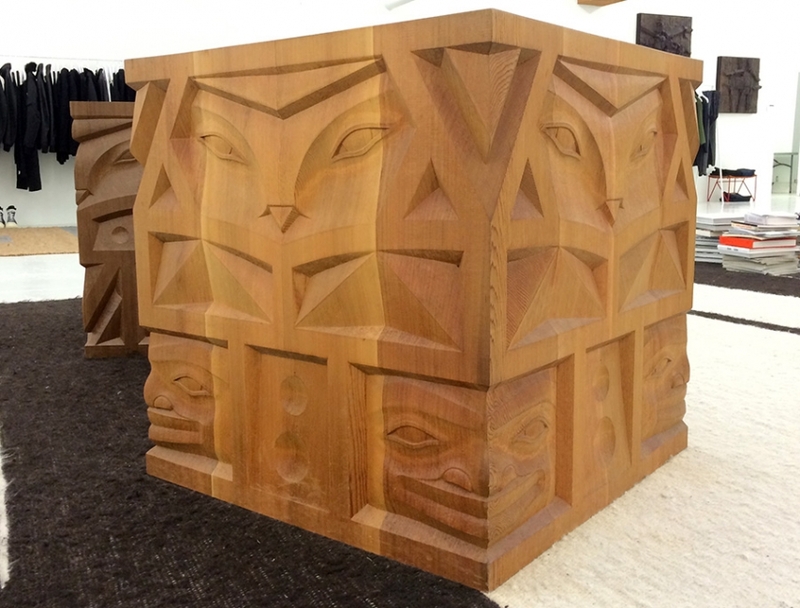 They weigh around 400lbs each - pure solid wood - and the close ups of the way the carvings work with the grains are just mesmerizing! 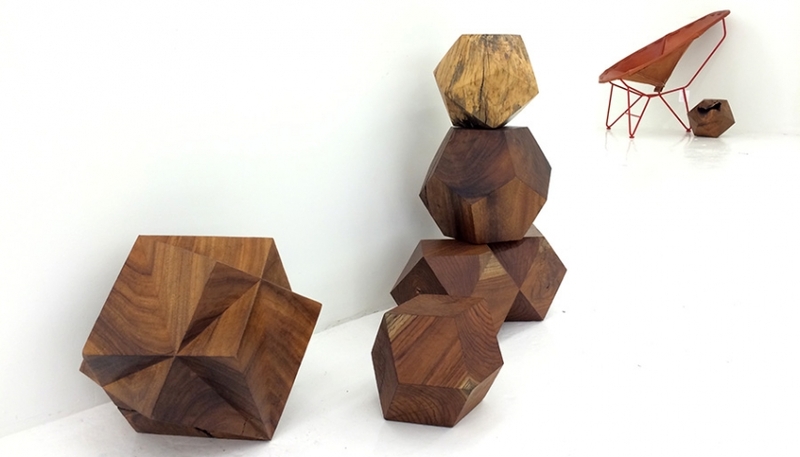 They are hand carved by Aleph Geddis - check out his instagram and tumblr for more awesome pictures.